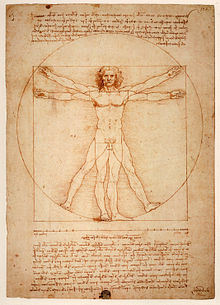 Vitruvian Man, Leonardo da Vinci’s image is often used as an implied symbol of the essential symmetry of the human body, and by extension, of the universe as a whole. As a man you are part of mankind, and therefore you have a share in the whole of mankind, as if you were the whole of mankind. If you overpower and kill your fellow man who is contrary to you, then you also kill that person in yourself and have murdered a part of your life. The spirit of this dead man follows you and does not let your life become joyful. You need your wholeness to live onward. If I myself endorse the pure principle, I step to one side and become one sided. Therefore my forethinking in the principle of the heavenly mother becomes an ugly dwarf who lives in a dark cave like an unborn in the womb. You do not follow him, even if he says to you that you could drink wisdom from his source. But forethinking appears to you there as dwarfish cleverness, false and of the night, just as the heavenly mother appears to me down there as Salome. That which is lacking in the pure principle appears as the serpent. The hero strives after the utmost in the pure principle, and therefore he finally falls for the serpent. If you go to thinking, take your heart with you. If you go to love, take your head with you. Love is empty without thinking, thinking hollow without love. The serpent lurks behind the pure principle. Therefore I lost courage, until I found the serpent that at once led me across to the other principle. In climbing down I become smaller. Great is he who is in love, since love is the present act of the great creator, the present moment of the becoming and lapsing of the world. Mighty is he who loves. But whoever distances himself from love, feels himself powerful. In your forethinlcing you recognize the nullity of your current being as a smallest point between the infinity of what has passed and of what is to come. The thinker is small, he feels great if he distances himself from thinking. But if we speak about appearances, it is the other way around. To whoever is in love, form is a trifling. But his field of vision ends with the form given to him. To whoever is in thinking, form is unsurpassable and the height of Heaven. But at night he sees the diversity of the innumerable worlds and their never-ending cycles. Whoever is in love is a full and overflowing vessel, and. awaits the giving. Whoever is in fore thinking is deep and hollow and awaits fulfillment. 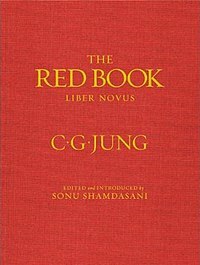 Next Next post: Carl Jung on The Tree of Life, World Tree, Tree of Evolution, Cosmic Tree, Soma Tree, The Human Spinal Column.